He made it sound too good to be true and I had already tried many, many other highly touted treatments that turned out to be poor or only so-so. Once a day treatment is adequate. Usually you'll notice improvement within a few days and most ears are pretty much all better in 7-10 days. 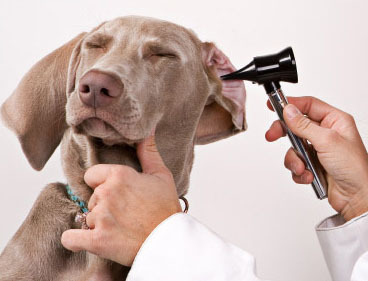 The ear may be permanently cured but this is unlikely with any brand of treatment since the underlying cause of ear infections in most dogs is allergenic. Zymox works well to prevent flare ups if used about once a week. You can combine Zymox treatment with oral antibiotics etc, but you shouldn't mix Zymox with topical antibiotic ointments or apparently the antibiotic will kill the enzymatic action of the Zymox making it ineffective. Zymox Otic ® (formerly Zymox-E ® )contains 3 active enzymes that have been shown to be antibacterial,antifungal and antiviral. Zymox Otic ® is the natural antibiotic free treatment of choice proven to be highly effective against yeast and bacterial infections. Completely safe and harmless if ingested by the animal. The once a day protocol makes it very to use. Lactoperoxidase: A known milk peroxidase which when combined together with hydrogen peroxide, thiocyanate and/or iodide produce a potent antibacterial system known as the Lactoperoxidase System. The hypohalous ions produced are either the hypothiocyanate ion or the hypoiodite ion. Both are bactericidal substances. Hypoiodite is also a known fungicidal agent. The antibacterial property of the Lactoperoxidase System is based upon inhabitation of vital bacterial metabolic enzymes brought on by their oxidation by hypothiocyanate or hypoiodite. Lysozyme: An enzyme present in milk and egg whites. Lysozyme kills bacteria by disrupting the formation of a glycosidic bond between the two components of peptidoglycan, a constituent of the bacterial cell wall. Lysozyme is effective against a number of bacteria including Escherichia coli and Salmonellae. Lactoferrin: An iron binding protein. It is found naturally in cow and human milk, tears, saliva, seminal fluid and in some white blood cells. Lactoferrin is only partially saturated with iron (5 to 30 percent) so it has a high affinity towards iron. Lactoferrin is bacteristatic against a wide range of microorganisms including gram-negative (coliforms) and gram-positive (staphylcoccus) bacteria. Lactoferrin has the potential to inhibit the growth of bacteria and kill them by depriving them of iron, which is vital for bacterial growth. I tried it in my own ear infection: it was great. No irritation. Good results overnight. I obviously like this product. If your pet has had chronic ear infections and you haven't had great success with previous treatments, ask your vet for a trial of Zymox. If he or she doesn't know about it yet just let them know they can get it easily from most veterinary distributors and they will probably be pleasantly surprised.